Galaxy Star Pro is now available in the Indian market; the phone comes directly in the market without any official announcement. Galaxy Star Pro is the next gen of Galaxy Star which comes in the budget range. Galaxy Star Pro comes with 4-inch display of 480 x 800 pixel resolution. 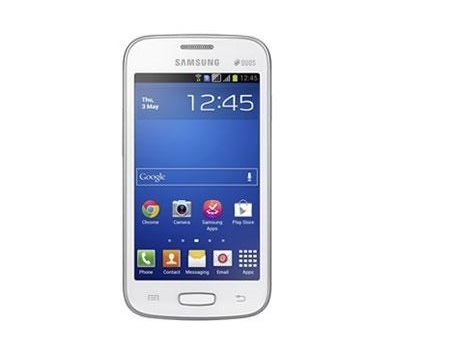 Galaxy Star Pro is powered by a 1 GHz Cortex A5 processor along with 512 MB of RAM and it runs on Android 4.1.2 jelly Bean. Galaxy Star Pro has 4 GB of internal memory which can be expanded via microSD card. It is a dual SIM Phone but does not support 3G but phone supports Bluetooth, WI-FI, EDGE, and Micro-USB. Galaxy Star Pro has 2 megapixel rear Camera with no flash and there is no any front camera. It has a 1500 mAh battery which gives up to 15 hours of talktime and up to 370 hours of standby time. Rs. 6,989 price is set for the phone. LG G2 launched in India at Rs 41, 500.